Designed to help the coach guide their athletes to the next level. This book guides you with research-based, field tested approaches to enhance performance. Methods included are: Optimizing inner drive, maintaining emotional and mental control for better focus, improving communication skills, and avoiding and overcoming slumps and injuries. To order this book please contact the TPA at tpa@tenniscanada.com. 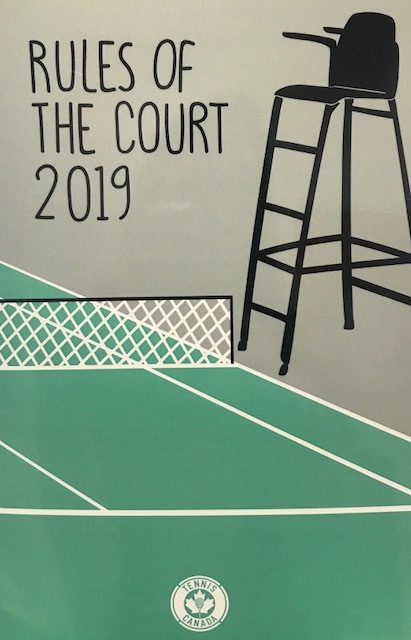 We are please to present the new edition of the Tennis Canada Rulebook, The Rules of the Court 2019. To view an online version (PDF) of the book, click here. ½ Court tennis is the first step in progressive tennis. The transition to successful ½ Court tennis will require a period of skill development where basic co-ordination and cooperative activities will lead to the development of the basic strokes and fundamentals. To order this DVD please contact the TPA at tpa@tenniscanada.com. The ¾ court Curriculum allows young players to play on an 18m court with the same rules as those used on a regulation court. Playing the "real" game will promote the development of Fundamentals required in game situations. For 7-9 year-old, the ratio of length to width is basically the same as a full sized court is to an adult. As the court and equipment dimensions are scaled down, young players are able to develop an all-court game style. This DVD collection features guest speaker Paul Annacone as members are treated to a full day of on and off-court training. Topics vary from the Serve & Return to Planning and Dealing with Parents. This DVD collection includes presentations on coaching tactics, 1/2 court tennis, 3/4 court tennis, full court U12, U15 Consolidating stage and understanding the relationship of the tennis professional and club from well respected professionals of the coaching and tennis community. This DVD collection includes presentations on coaching tactics, and coaching education and development from professionals in the tennis community. This DVD collection includes presentations on coaching tactics, tennis fitness, tennis cardio, and coaching education and development. This DVD collection includes presentations on coaching tactics, 3/4 court tennis, U12 development, tennis psychology, and club and pro growth.